Authorities are expressing doubt as to the purchase of 100 Airbus jets, blaming US President Donald Trump’s threats to pull out of the 2015 nuclear accord signed between the Islamic Republic and world powers including the United States. Iran’s flag carrier Iran Air has placed an order with the European constructer for 100 Airbus aircrafts. The deal has been in the pipeline since January 2016, following a visit to Paris by President Hassan Rouhani. Iran has not made full payment for the order and so far, only three aircrafts have been delivered. Given Trump’s threats to tear the agreement and demand for re-negotiation of the deal because of Iran’s missile program, Tehran appears concerned that the contract could be affected. “Considering Mr Trump’s stance on pulling out of the JCPOA (nuclear deal) we must make sure that the licenses will remain valid… regardless of any decision taken by US,” deputy transport minister Asghar Fakhrieh Kashan told the reformist ILNA news agency. “As long as uncertainties are not resolved, we will not provide down payments,” he said. The Islamic Republic under a clause of the 2015 deal was allowed to buy aircrafts from international suppliers for civil purposes. A pullout of the US could impact the deal because some of the aircraft parts are manufactured on the American soil and are subject to US Treasury’s Office of Foreign Assets Control (OFAC). The licenses issued under JCPOA were granted by OFAC and are valid until December 2020. 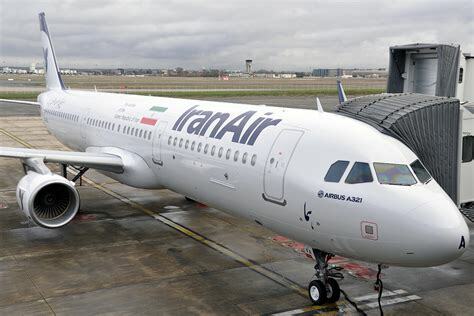 Airbus in front of the Iranian doubt indicated that it “keeps working with the air line and Iranian authorities on the execution of the purchase agreement in full compliance with the JCPOA and other applicable regulations”, reports say. Iran Air has also placed a reviewed order for 80 Boeing-made jets. An initial order was established for 100 aircrafts. The carrier is desperate to renew its ageing fleet. Posted by KanelkaTagba on Jan 18 2018. Filed under Gulf News, Headlines, World News. You can follow any responses to this entry through the RSS 2.0. Both comments and pings are currently closed.